of Londoners live below the poverty line (after housing costs); down from 29% six years ago. In the rest of England it is 21%. London children live in poverty (after housing costs). Children in London are more likely to live in poverty than their peers in the rest of England. of Londoners in poverty live in a working family. This is an increase from 44% a decade ago. 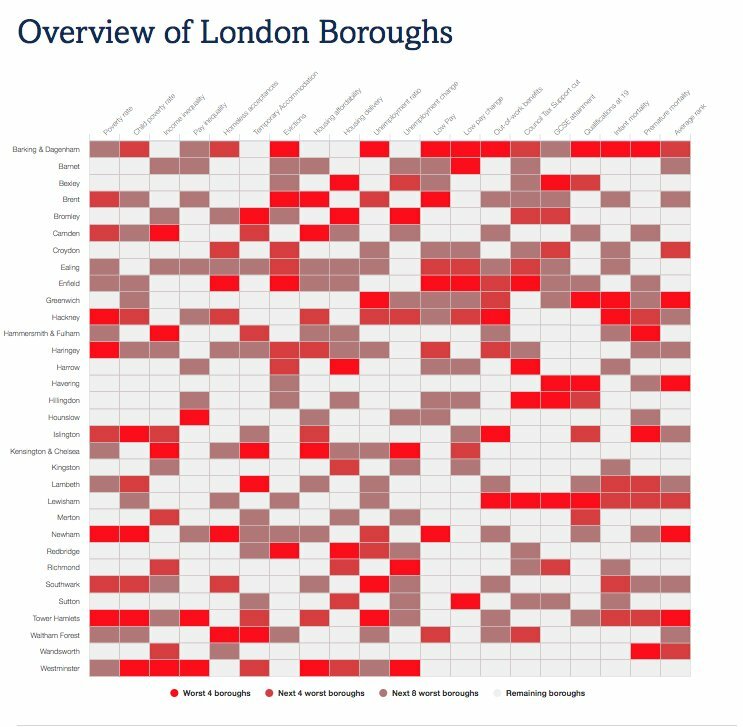 The indicators in this topic look primarily at incomes in London and how they compare with the rest of England. It does this mainly through the lens of poverty: those with incomes so low that they cannot fully meet their needs. Find out more about poverty and low income are defined here. 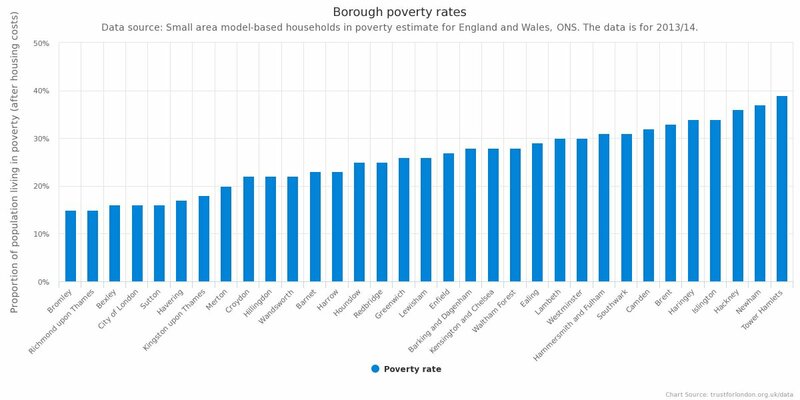 After you take housing costs into account, poverty is higher in London than in the rest of England (27% vs 21%). The number of adult Londoners in working families who are living in poverty has risen by 270,000 over the last decade. There has also been an increase in the percentage of people living in the private rented sector who are in poverty. 43% of people in poverty are private renters, compared to 36% who are social renters, and 22% who own their own homes. The percentage of people living in poverty in the private rental sector was 23% only ten years ago. 61% of poor Londoners live in Outer London. In the three years to 2015/16, 37% of children, 24% of working age adults, and 19% of pensioners in London were in poverty. 34% of people with a disabled adult in the household live in poverty, compared with 25% of people without a disabled adult in the household.